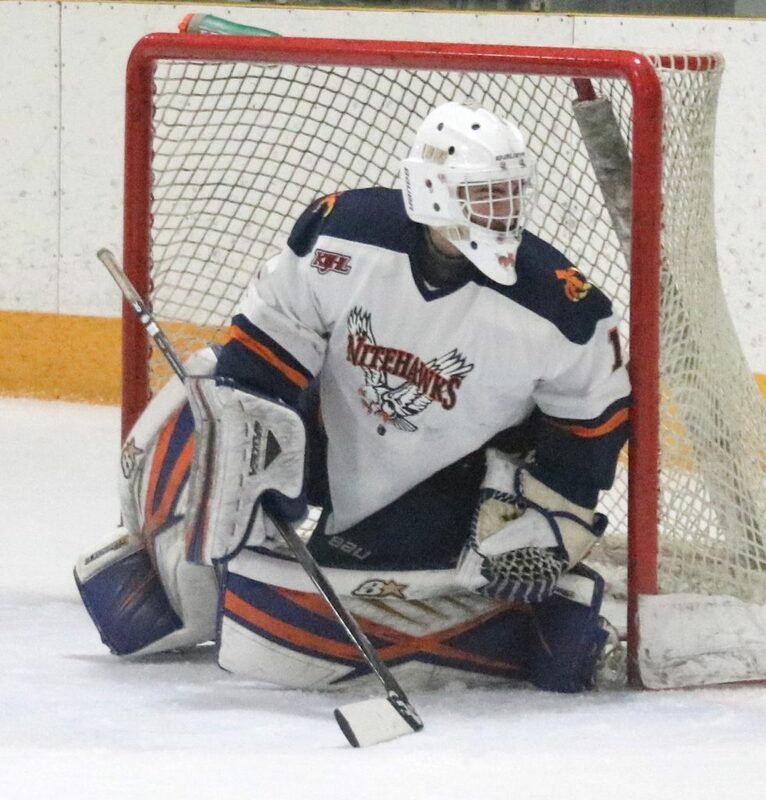 Great goaltending highlighted a marathon Game-5 match up between the Beaver Valley Nitehawks and the Kimberley Dynamiters in the KIJHL Kootenay Conference final on Monday. 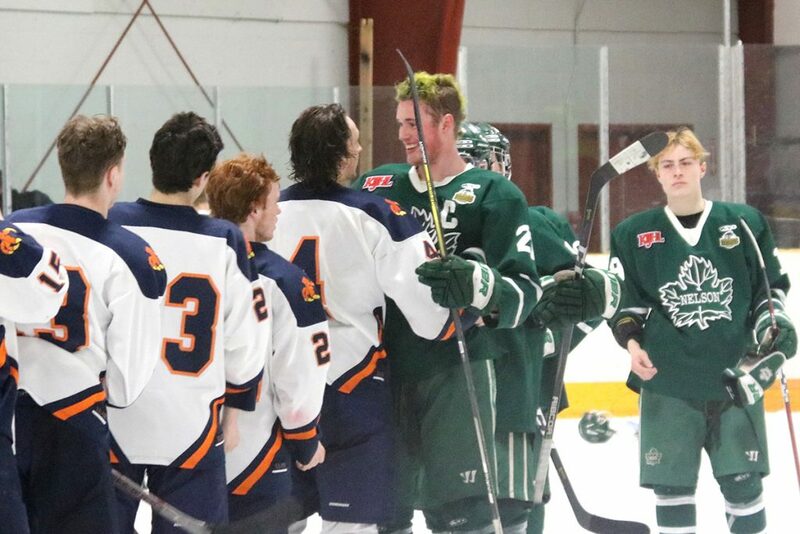 With the game tied 2-2 and undecided after two overtime periods, a breakaway goal from Kimberley forward Brock Palmer 51 seconds into the third overtime period won the conference title for the Nitros. 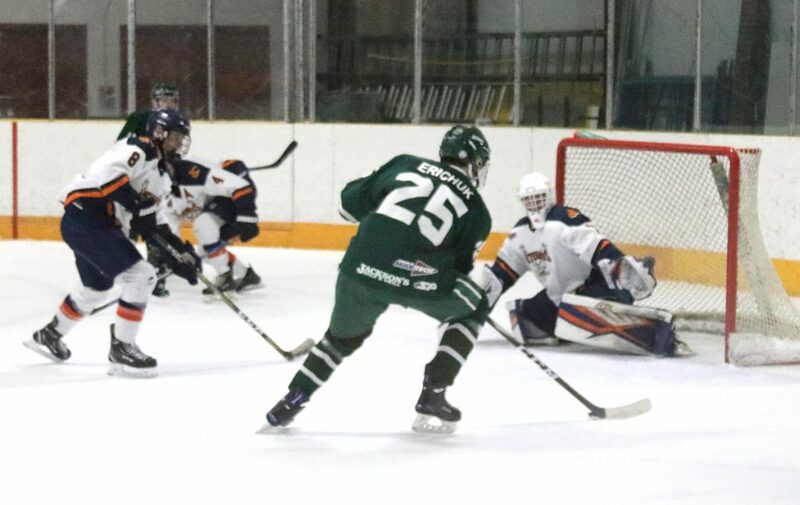 For the Nitehawks, the improbable run to the conference final was highlighted by a Game 6 win over the Nelson Leafs to capture the Neil Murdoch Division title. The Hawks team came together at the right time, and with great support from their fans, the team exceeded expectations, sweeping the Grand Forks Border Bruins in Round 1, before taking out the Leafs. 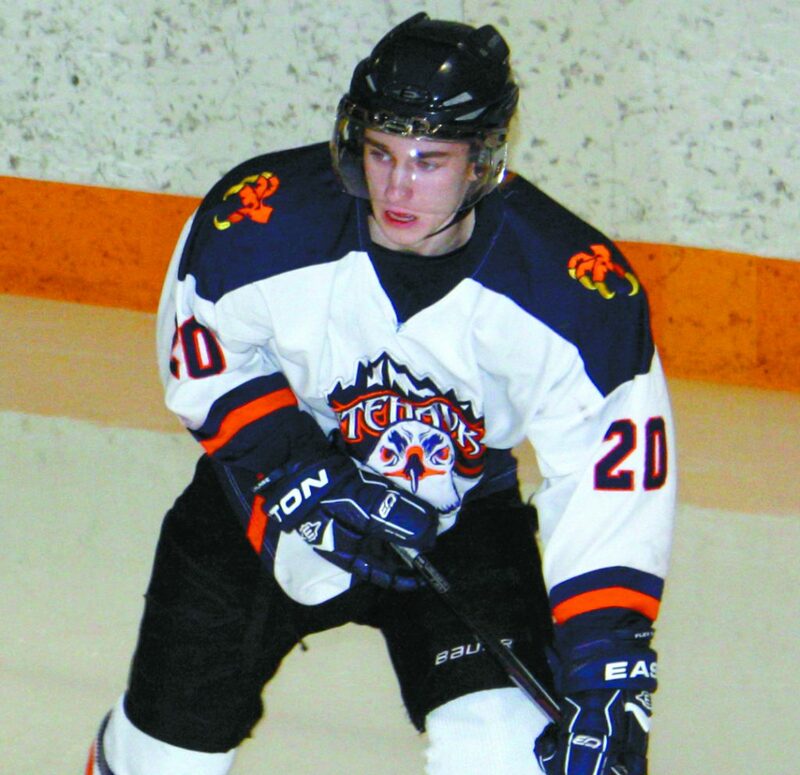 “We battled hard,” said Nitehawks head coach Terry Jones. “I can’t believe how hard my guys played. Brad Ross opened the scoring for B.V. tallying his seventh of the playoffs on the power play at 17:10 of the opening period. The Hawks came out determined and dominated the Dynamiters in period one. Kimberely didn’t register its first shot on goal until close to nine minutes into the first as B.V. outshot Kimberley 10-5. The Dynamiters pushed back hard in the second period, and Chase Gedny scored on the power play, finishing a setup from Palmer and Keegan McDowell to tie it at 1-1. Kimberley outshot the Nitehawks 18-4 in the period, but Hawks goalie Noah Decottignies kept the Nitehawks in it. Palmer poked in a loose puck off a mad scramble in the Nitehawks crease to give Kimberley a 2-1 lead at 16:09 of the final frame. 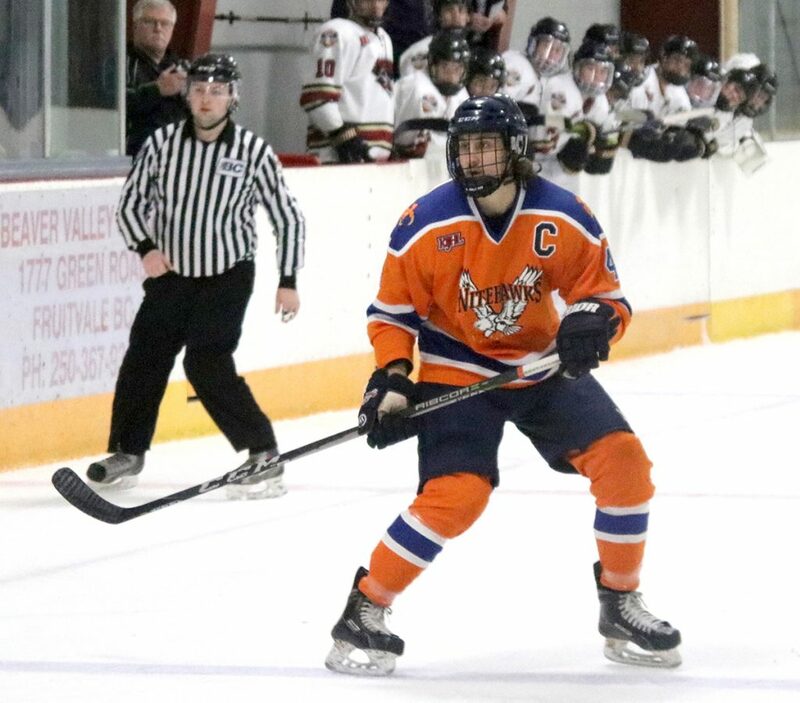 The Nitehawks stormed back and Paul Leroux fired home the tying goal on a power play at the 5:40 mark with assists to Brock Wallace and Michael Hagen. Beaver Valley and Kimberley traded chances through the two overtime periods, but both Decottignies and Adam Anderson were unbeatable, as B.V. outshot the Dynamiters 15-12 in the overtime periods. 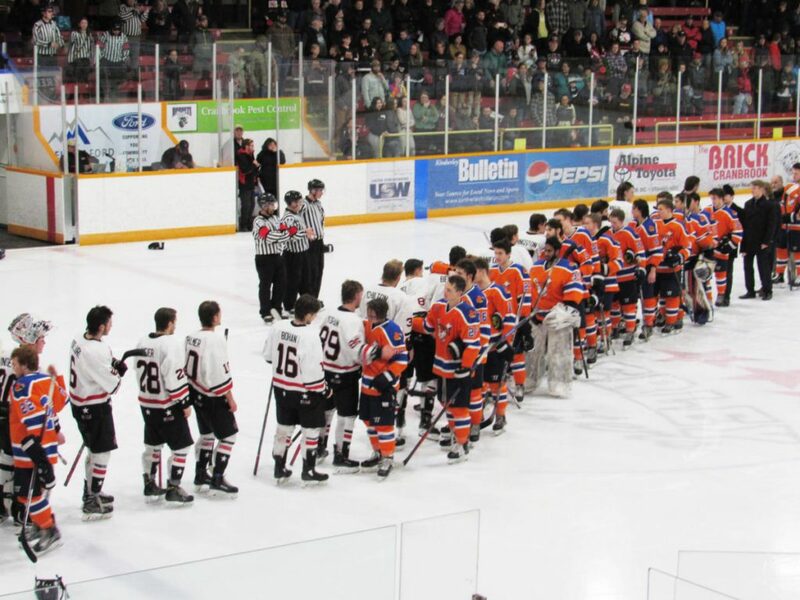 The sudden end to the season is disappointing for a young Hawks’ team that took their game to another level against an older and bigger Kimberley team during the playoffs. And for coach Jones, who completed his 23rd winning season, that included the milestone 1,000th win, the sting of the loss still bites. “We have to be happy about where we are and where we got to, to make the final four of our league is always something. And it’s a good team to lose to too, so you don’t feel bad about that. Kimberley will play the winner of the Revelstoke Grizzlies and Kelowna Chiefs series. The Grizzlies took a 3-2 series lead following a 5-1 win on Tuesday.